I believe, to the core of my being, that every parent who can (and not all can) should homeschool their children. First, it fosters family intimacy. When the family is together, it’s together. 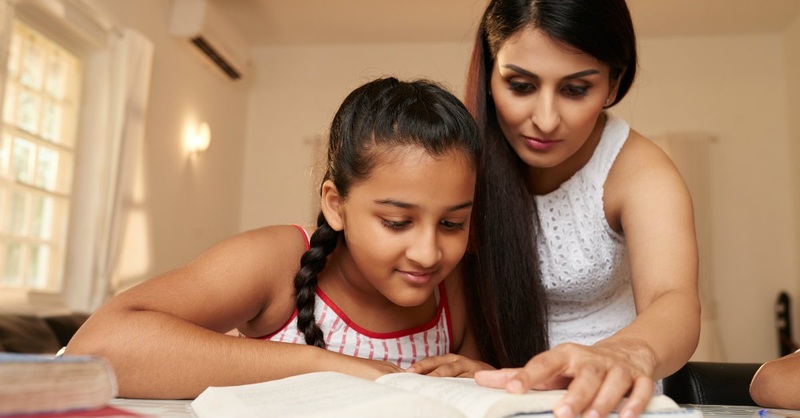 Homeschooling keeps the family together; the older children with the younger children—full interaction. For one year, we put our oldest daughter, Rebecca, into a private Christian school for first grade. She would come home tired, irritable, impatient with her younger siblings. The intimacy she had with us – that we all had together – was radically different than what we had experienced before. We went back to homeschooling after that, and the difference was immediate and palpable. Intimacy returned in ways that we were accustomed to. Second, it allows for controlled socialization with peers. I find it almost amusing that people use “socialization” as a baseball bat against homeschooling. So let me get this straight: Sending your child away at the earliest of ages to be with 25 other kids and one adult for the bulk of every day and every week, away from the home and family, is normal socialization in light of the history of civilization? The truth is that homeschooling fosters positive socializing by letting you control the friends your child has, as opposed to whoever or whatever is most popular. It lets you establish respect for authority and the appropriate way to interact with others. Third, homeschooling ensures congruency between your values, teaching, beliefs and education. Imagine what it must be like for a child to hear at home that there is a God who loves them, and then go to school and hear that there isn’t a God at all. Or at home that God created everything there is, but at school that there is no God involved at all. Or having decided to wait to introduce your child to the adult world of sexuality until they are age appropriate, only to have your eight-year-old come home and tell you they learned about condoms that day or that their teacher, Mrs. Johnson, showed them a picture of her wife. Fourth, it removes the tension between the world your child lives in at school and the world they live in at home, allowing for just one “world.” Feel sorry for children today. They are trying to survive two radically different environments with two different value systems. You tell them they can’t see a movie, download a particular app or go to a particular party. At school, everyone is seeing the movie, using that app and planning what to wear to that party. That creates enormous tension between you, the child, and their school-world. They live in two worlds—one that is home and church, the other that is school and peers. One is going to win: the school. And it will create resentment and tension toward the home and church. Fifth, it enables you to tailor the educational approach you take with your child. As the father of four, I can tell you that all four learned differently and at different rates. Most school settings are not able to individualize. They have to create a “one size fits all” approach out of necessity. Too many students, too few teachers. Sixth, homeschooling affords the flexibility for family time, excursions, travel and serving. This may not be as important to all families as it was to ours, but because of the flexibility homeschooling gave, whenever I had a chance for one of my children to travel with me, they could. School wasn’t an impediment. Whenever there was an event, an activity, a concert, a play, a festival that we felt would be beneficial, we didn’t have to worry about the school calendar. My vocation had Fridays be my day off. Because of homeschooling, that could become our Family Day. When there were serving or internship opportunities at the church or other agencies, we could take full advantage without concern for what day of the week it might land. Finally, homeschooling gives you the freedom to let your child chase their individual gifts and passions. Our youngest son, Zach, was inclined toward music and the arts from his earliest days. We were able to tailor his education to include an abundance of music, internships with arts teams and more. Today, he is a pastor of worship, chasing his calling with ferocity. We feel we helped. My wife, Susan, and I homeschooled all four of our children. All I can say is: Best.Decision.Ever. All four walk closely with Christ. All four went to premiere universities. All four are engaged in full-time vocational ministry. All four want to homeschool their children. For at least seven reasons that they know served their life.